Anodized aircraft aluminum. Airtight, watertight containers. Keeps UV rays and air out. Locks aroma in. Made in USA. Your choice of black, blue or clear anodized. Internal O-Ring to seal in freshness. 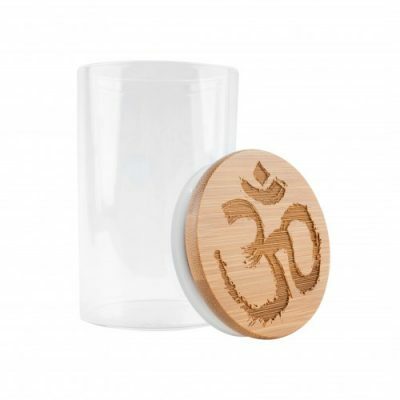 Product size is 3.00" x 1.25"
Hakuna stash jar, 1/2 oz capacity, is made of high-quality glass and bamboo top holds shut with an o-ring to help keep smell and freshness.